The Partners for Change Outcome Management System (PCOMS), listed in SAMHSA's NREBPP, is used by thousands of behavioral health professionals in all 50 states and in 20 countries. This client-directed, outcome-informed and recovery-oriented approach takes 5 minutes (or less) to solicit feedback. Clients/peers appreciate tracking their progress from their own points of view. The tools are available for individual, group, child, adult and telephone or electronic interactions. Without changing the current therapeutic model or program, PCOMS is effective with people across diagnostic categories and in public and private service delivery systems, resulting in significantly reduced dropouts, improved recovery outcomes, and enhanced supervision practices. Explain the research-based factors responsible for client change that cut across professional disciplines and preferred treatment models. Assess the client’s vital perceptions of recovery progress and satisfaction so that services can be empirically tailored to the individual’s characteristics, circumstances, and resources. Use three simple yet feasible, valid, and reliable tools to gather practice-based evidence of service process and outcome effectiveness. George Braucht, LPC, CPCS, has over 14,000 hours of supervised psychotherapy experience in alcohol and other drug treatment, crisis intervention, mental health treatment, and criminal justice services. Specializing in program evaluation and continuous quality and outcome improvement consulting, Braucht also enjoys facilitating behavioral health and social justice trainings with professional and peer service providers. 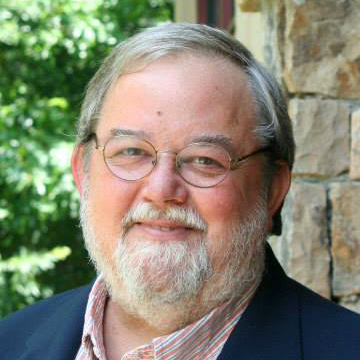 He co-founded the Certified Addiction Recovery Empowerment Specialist Academy for peers that operates in multiple states, serves on the Georgia Association of Recovery Residences Board, is a Charter Board Member of the National Alliance for Recovery Residences and he is a Certified Trainer with the Heart and Soul of Change Project.